Miss any big deals during the Steam holiday sale that's been going on for the past couple of weeks? No worries. Valve's got you covered. 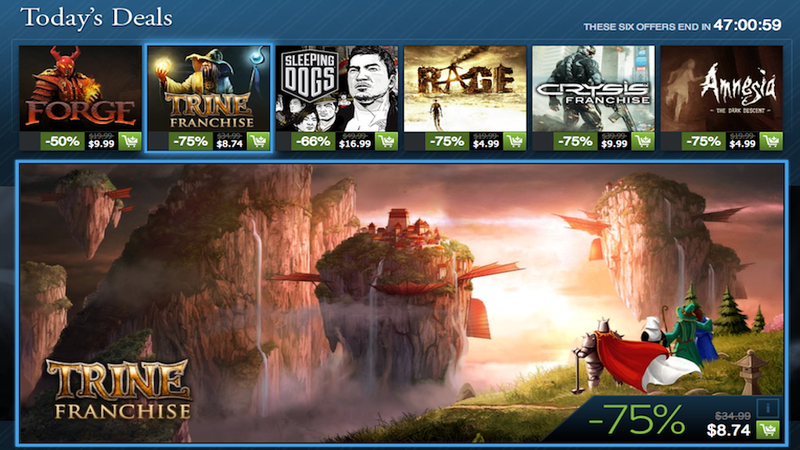 Gamers will have a final opportunity to get their favorite games on Steam. A select number of the most sought-after titles from the Steam Holiday Sale will reprise their biggest discounts for two additional days. The Encore Weekend begins at 10am PST on January 5th (Saturday) and runs until 10am PST on January 7th (Monday). So go forth and shop. Or maybe don't. Maybe just worry about the games you already have.